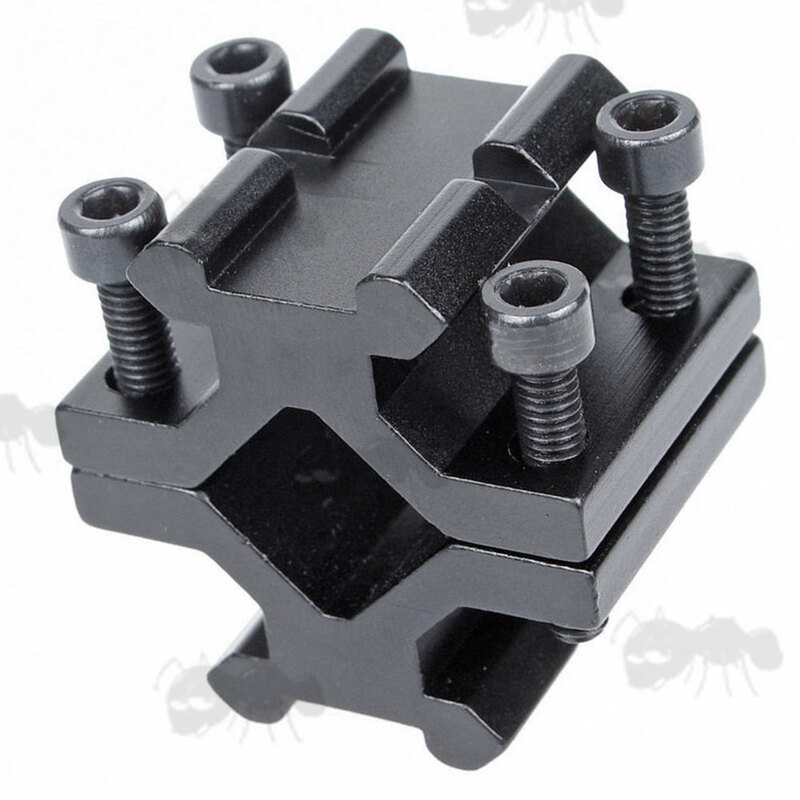 Rifle barrel fitting double rail mounts. 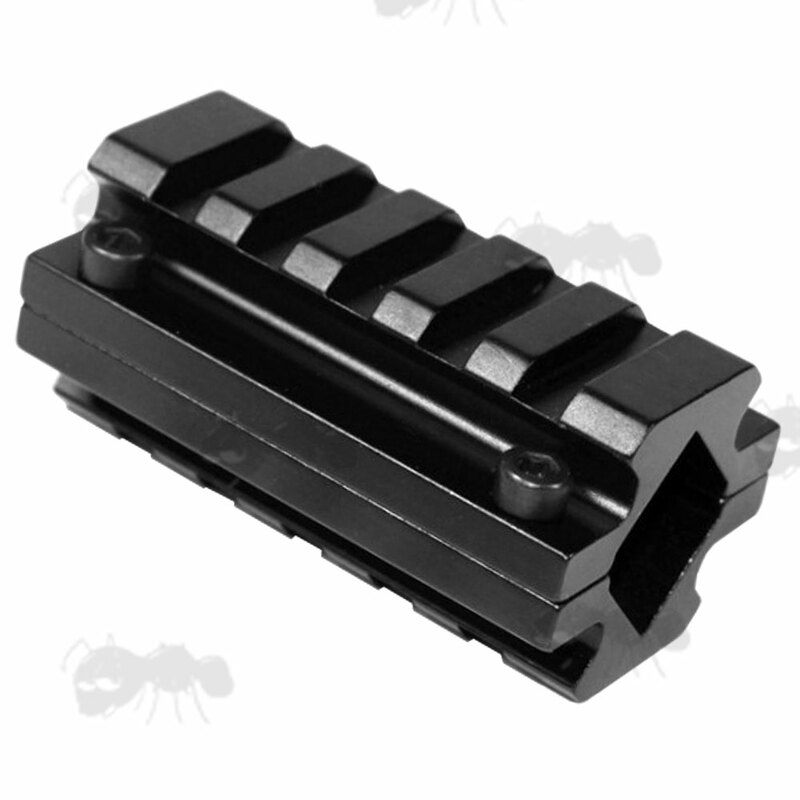 Also available ~ Shotgun barrel rails and AK / M14 barrel rails. For 12mm to 20mm barrels. 25mm long picatinny / weaver rails. For 15mm to 19mm barrels. 60mm long picatinny / weaver rails. For 25.4mm to 28mm barrels. Barrel mount with twin rails. For attaching rail fitting bipods or vertical grips to your rifles barrels or for a torch / laser in conjunction with a 20mm mount. 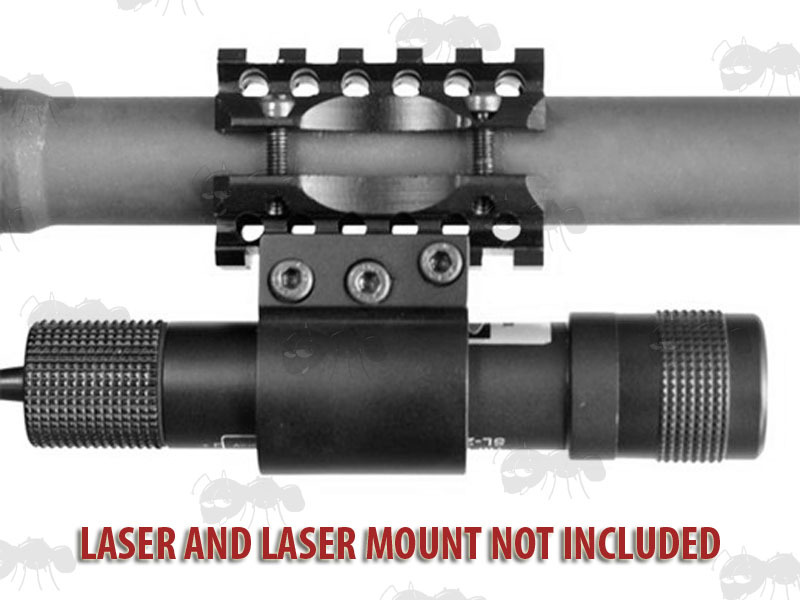 Placing tape around your gun barrel first is recommended for protecting the finish. 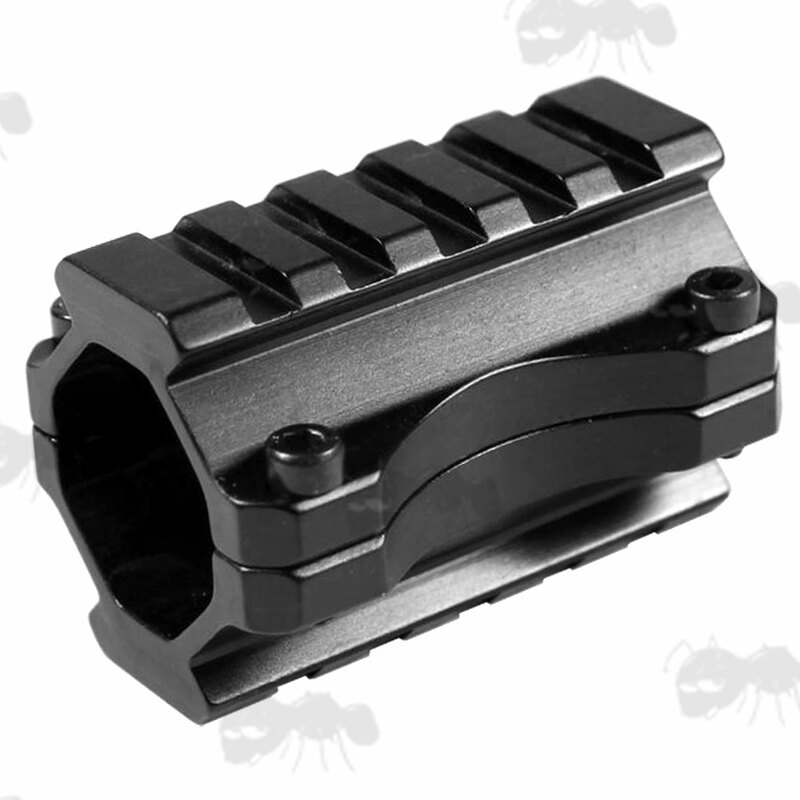 Also available ~ Universal single rail barrel mounts.